AESOP continues Lecture Series and is delighted being able to introduce the new partner in this activity: European Regional Sciences Association (ERSA). The fist Lecture within new framework is an exceptional event hosted by Vienna Univeristy of Technology celebrating this year its jubillee - 200 years. 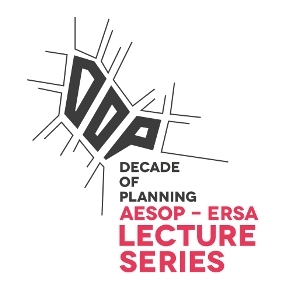 The Vienna University of Technology (Austria) invites you to participate in the Evolution of Planning Thought Lecture Series, which takes place as part of the TU Wien 200 years anniversary celebrations in May 2014. This Lecture Series unpacks how planners developed theories and conceptual tools, how these shaped the development of practice, how planners organised themselves at an international and global scale, and the conceptual, institutional and practical lacuna that remain to be filled. Every lecture starts from a personal perspective to tell a much broader story about the Evolution of Planning Thought. The subsequent podium discussion provides a unique space to reflect on where we are as planners, how we have got there and where we are going as a community into the future. Each lecture concludes with a social gathering, allowing less formal discussions with highly respected planners of the first generation. Important note: Places are limited and are provided on a first come, first serve basis. For further information or for queries, contact Beatrix Haselsberger (Beatrix.Haselsberger(at)tuwien.ac.at) or visit website of the Lecture Series.